It'd only be fair, since guys like Danny McGaw deserves to be on everybody's radar. A former pro soccer player, the Englishman found himself in Kansas City with some songs and a band. 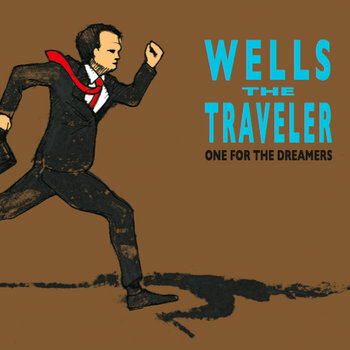 Wells the Traveler combines the plainspoken English folk we love so much with Midwestern rock. Think of a Frank Turner who isn't trying to impress us with his wordplay or, better yet, a Mumford and Sons with power and soul. McGaw's impassioned vocals are never forced or cheesy. I don't know what it is, but his tales of love and loss are immediately relatable in a way that few songs are. Maybe it's because he means it.